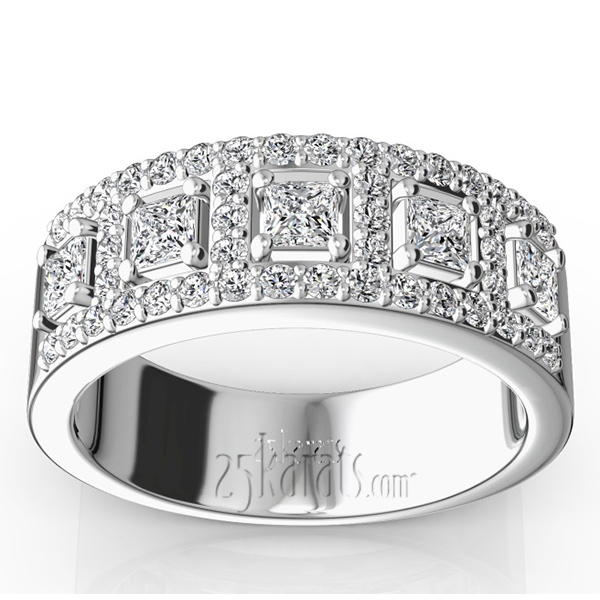 This magnificent diamond ring is set with 45 round cut diamonds totaling 0.90 ct.tw. 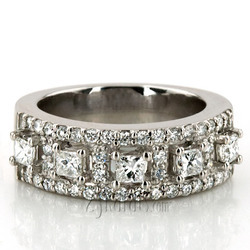 This fancy diamond wedding ring is perfect to make a fashion statement. 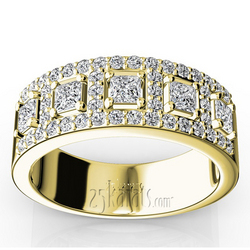 This anniversary ring is available in white gold, yellow gold, platinum or palladium. 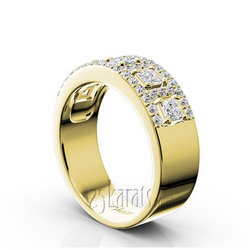 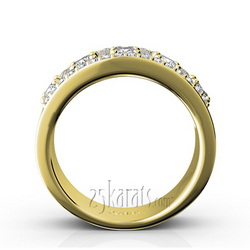 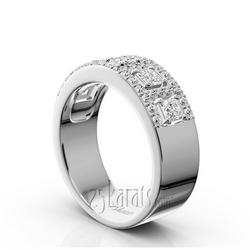 Carat Weight / Size (each): 0.10 ct. / 2.5x2.5 mm.